A Wonderful Weekend at The Griswold’s…er, Hammond’s! To say I get excited for the holidays is a huge understatement. 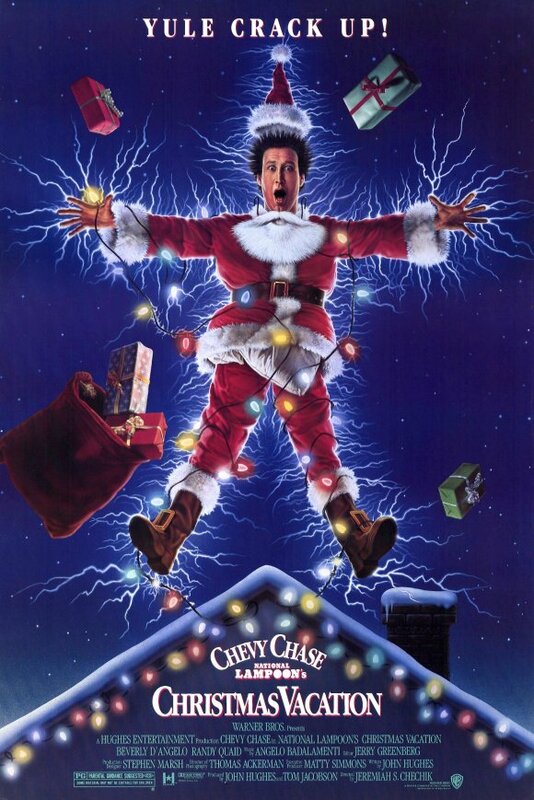 Friends and family often jokingly refer to us as “the Griswold’s”, and me as “Clark W. Griswold”, from the movie National Lampoon’s Christmas Vacation. I can recite just about every line in the movie, and it is the movie of choice year after year for our family. This year I actually set a new record even for me! I put the Christmas lights up the day of Thanksgiving, one day earlier than usual. We made our annual trip to the Christmas tree farm to cut our own tree (I cannot buy pre-cut…no tradition!). Our 4-year old daughter was dancing to Christmas music on the radio. Wait…you say it’s not even December yet? Yes, that’s how excited I get. This is also the time of year when I can take a bit of a breather from work and not feel as guilty. I forced myself to enjoy a full four-day weekend, spending many great hours playing with the kids, cherishing time with friends and family, and even decorating the house. The reason I mention this is because one of the biggest obstacles to running three businesses is staying balanced. Yes, this has been a problem for me (and many others) even with one job. But the nagging feeling that something needs to be done for work pulls at you constantly. I will admit I check my phone too often for any pressing emails when I’m home. At the same time though, my rule is I don’t actually reply or “engage”. Then why do I even check, you ask? Good question, and I do not have a good answer. Perhaps with so many balls juggling in the air I feel the need to keep my finger on the pulse at all times. Or, maybe it’s just this new iPhone 4 I finally caved in and bought! It’s just fun to look at! Keeping your priorities straight can be a never-ending tug-of-war. I help my coaching clients year-round identify what is most important in their lives, and then create ways to dedicate more time to these people and things. Yet, that doesn’t mean I have completely mastered the art of balance, and always putting family before work 100% of the time. Being so career driven, this will most likely always be a challenge for me, but I’m committed to working at it. I know it’s a cliché, but why work so hard to create successful streams of income…if you don’t have time to spend with those you love? I’m proud of my efforts these past four days. The call of work was always there in the back of my mind, but instead I enjoyed plenty of down time. In the past, I would have been hopping on the computer to fit some work in at every opportunity. The holidays bring out the best in many of us, and maybe that is why I love this season so much. Attitudes seem to improve, and people tend to focus on what is most important in their lives. Here is a toast to you and your family for a long, wonderful holiday season. Stay balanced. Treat yourself to some time away from work. Get some unfinished projects completed. Focus on those most important in your life. Get some exercise in. I know I will.